Cysen was enrolled in art school at the young age of four. His creativity and affinity for the arts have never been in question and continues to grow whole heartedly everyday. Cysen is a self taught tattoo artist who familiarized his way through this industry on his own, without an apprenticeship. “It was tough, but also fun in a masochistic way; it was like a puzzle that I had to piece together on my own”. His unrelenting drive, attention to detail and perseverance are what gave him the strength and ability to not only succeed in this trade; but to climb his way to the top. 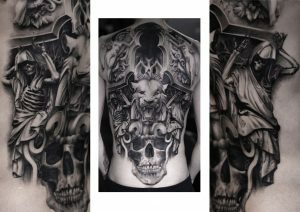 Cysen opened his own shop in 2011 shortly after working as a tattooist in a small studio located in the heart of downtown toronto for only a year and a half. Through trial and error he learned the ins and outs of the business and soon realized that he wanted to give similar opportunities to other artists who shared the same hopes and dreams. Cysen started training apprentices in early 2012 and has since grown Golden Iron to a shop with two Toronto locations that is home to a wide array of dedicated artists who excel in many different tattooing styles. 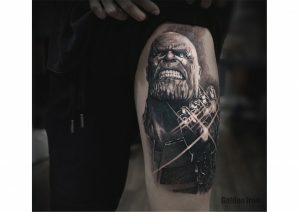 He received his first awards at the Toronto NIX tattoo convention back in 2013; best small and large black and grey tattoo. This sparked a fire in him to set a personal goal of bringing back 100 awards in his name. Always meeting his objective, Cysen never ceases to have more planned for his career and is always finding new barriers to cross. “You don’t need to be a perfect artist; if there is even such a thing. 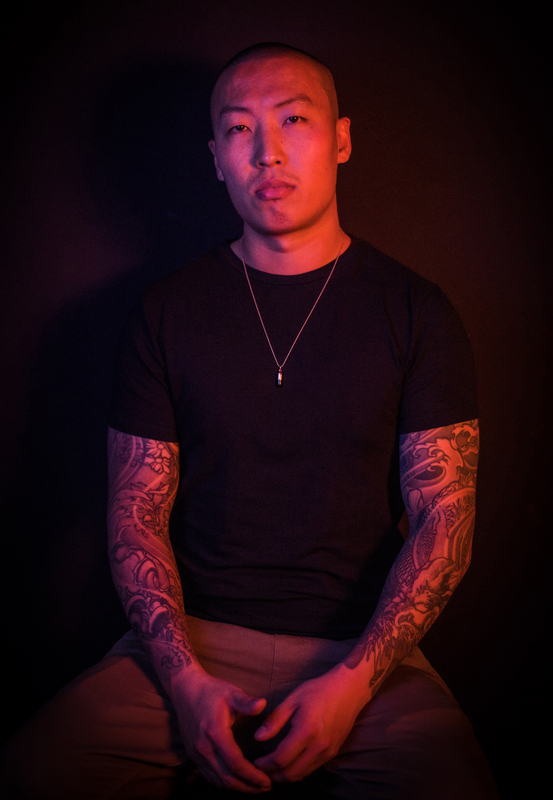 I find that there is always room to grow and that there is never a limit to learning.” Cysen started off excelling in Asian traditional, but grew a fond interest and love for realism and black and grey tattoos. His talent however knows no boundaries and he makes it clear to see that he can handle almost any style thrown his way. His love for this art form, hard work and numerous attendances to national and international tattoo conventions led Cysen to having an endless journey full of learning, improvement and experience. After almost a decade in this industry, the Toronto-based artist takes an immense satisfaction in knowing that he is uninterruptedly learning and maturing; not only as an artist but also as a person. He strives for perfection in everything he does and his art is in constant evolution; a trait that helps set him apart from others and assists him in being a force not to be reckoned with. 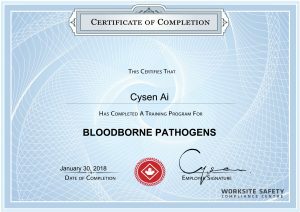 Cysen’s ultimate intent is to help design the perfect work of art for his clients to indelibly mark their bodies with and to continue building his knowledge, skill set and impressive award winning portfolio.